Nana-Ama Danquah is an author, editor, freelance journalist, ghostwriter, public speaker, actress, and teacher. Her groundbreaking memoir, Willow Weep for Me: A Black Woman’s Journey Through Depression (W.W. Norton & Co.) was hailed by the Washington Post as “A vividly textured flower of a memoir, one of the finest to come along in years.” A native of Ghana, Ms. Danquah is the editor of four anthologies: Becoming American: Personal Essays by First Generation Immigrant Women (Hyperion); Shaking the Tree: New Fiction and Memoir by Black Women (W.W. Norton & Co.); The Black Body (Seven Stories Press); and, Accra Noir, which is forthcoming from Akashic Press as part of their popular noir series. Ms. Danquah earned a Master of Fine Arts degree in Creative Writing, with an emphasis in creative nonfiction, from Bennington College. She has published articles in newspapers, journals, and magazines, such as the Africa Report, the Village Voice, the Los Angeles Times, Allure and Essence. Her essays and poems have been heavily anthologized and used in high school and university textbooks. 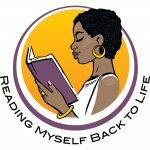 As a ghostwriter and editor, Ms. Danquah has worked with celebrities and other high-profile individuals in the worlds of entertainment, business and politics, writing and editing book proposals as well as full-length books, many of which have been New York Times bestsellers. From 2012-2016, she was the International Speechwriter for H.E. John Dramani Mahama, the President of Ghana, her birth country. In that capacity, Ms. Danquah wrote four United Nations General Assembly speeches, several State of the Nation addresses, and various speeches delivered by President Mahama at high-level conferences, meetings and panels. A highly sought-after speaker herself, Ms. Danquah has delivered keynote speeches and addresses at dozens of conferences and gatherings throughout the world; she has been featured at the Carter Center; Barnard College; University of Ghana, Legon; University of California, Los Angeles; Vanderbilt University; Hamline University, and many other institutions. 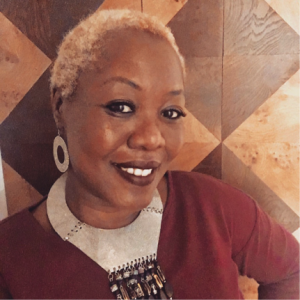 She has taught at Otis College of Arts and Sciences, Antioch College’s MFA in Creative Writing program, the NYU in Ghana program, and at the University of Ghana’s School of Communication Studies as a Visiting Scholar, and in their Department of English as a Senior Lecturer. Additionally, she taught Creative Writing for the City of Manhattan Beach, California as a California Arts Council Artist-in-Residence, and Poetry to grades K-12 in the Los Angeles Unified School District as a California Poet-in-the-Schools. Ms. Danquah is mother to writer/actress Korama Danquah. She divides her time between Ghana and Southern California.